appScatter Group plc (LON: APPS), the app management and data intelligence platform, has today announced the intention to acquire Airpush, Inc., a technology company specialising in app monetisation which, if approved and completed would constitute a reverse takeover for the purposes of the AIM Rules for Companies. Accordingly, trading in the Company’s shares will be suspended on AIM until such time as the Company is able to publish an admission document in relation to the Proposed Acquisition, expected by early June 2019 or confirms that the Proposed Acquisition is no longer in contemplation. “The merging of the two companies will create a single, end to end platform for the management and monetisation of mobile apps for developers and publishers worldwide. Our new platform will have over 600k registered developers, supporting 850 million end users, reaching 250 million devices using the firmware updater, pre-installed at factory level. Together with our current data capabilities, this puts the organisation firmly at the top tier of mobile app intelligence, management and monetisation. The Company also announces a planned £2.2 million subscription for new ordinary shares in appScatter, at 26.8 pence per share, of which the Company has now received firm commitments for £885,000. The Company expects to receive the remaining £1.315 million commitments and the £2.2 million subscription funds in the next few days. Airpush was founded in 2011 and is registered in Delaware, USA. It has 125 employees and consultants located across the US, China and Europe. It operates in four principal business areas: app monetisation using artificial intelligence, data sales, security and e-commerce. Airpush is a well-established business with contracts with multiple OEMs using its over the air technology, reaching 250 million mobile devices, increasing by 7 million new devices each month. Both appScatter and Airpush share the same vision to provide an end-to-end SaaS platform for the management and monetisation of mobile apps that meets the needs of app owners, developers and publishers. If completed the Proposed Acquisition will expand the Company’s product suite by adding AI-powered targeted revenue generating services on mobile platforms; e-commerce revenue share partnerships; and an improved security portfolio with detection and monetisation of pirated installs. The merger will provide the enlarged Group the opportunity to sell its wider product suite to its combined 600,000 registered developers and publishers, whilst increasing revenue and profit margins. The Proposed Acquisition will also enable the Group to improve the quality and range of data currently utilised. New data sources will include app data from 850 million active users and 250 million devices, complementing the current 11 million apps tracked daily and audience data from 3.5 billion devices. Airpush employees are based globally adding greater capacity, more scale and a wider geographical reach to the Company’s existing teams. The combination of the two businesses offers significant operational efficiencies in IT hosting, software development and marketing. 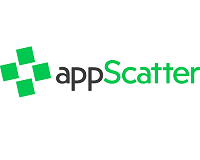 The Proposed Acquisition will be funded by the issue of further new Ordinary Shares in appScatter, subject to approval by shareholders of appScatter in a general meeting of the Company. The Proposed Acquisition will be deemed a reverse takeover under the AIM Rules. It is envisaged that existing appScatter shareholders will make up 25 per cent of the enlarged issued share capital of the Company and Airpush shareholders will make up 75 per cent of the enlarged share capital. There can be no guarantee that the Proposed Acquisition will complete or of the terms should it proceed. 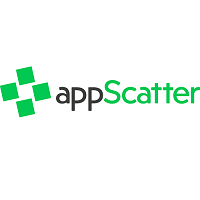 The Board of appScatter has announced a firm cash placing of 3,302,238 new Ordinary Shares at an issue price of 26.80 pence per share by way of a subscription to raise £885,000 for the Company. Upon receipt of the remaining commitments from investors, the Company will issue further Placing Shares by way of a subscription to raise a further expected £1.315 million. The proceeds of the Placing will in part be used to fund working capital and in part to fund the professional fees and other costs involved in pursuing the acquisition of the Airpush Group. The Placees will also be granted warrants to subscribe a further £2.2 million of Ordinary Shares at 26.80 pence per share, exercisable over 24 months. The Proposed Acquisition represents a reverse takeover under the AIM Rules. The Company expects to publish a circular to shareholders incorporating a Re-Admission Document by early June 2019. Accordingly, trading in the Ordinary Shares will now be suspended until publication of this Re-Admission Document. The Company stresses that the Proposed Acquisition remains conditional upon the completion of due diligence satisfactory to the Company and entry into a legally binding acquisition agreement with the shareholders of Airpush. Accordingly, there can be no guarantee that the Proposed Acquisition will complete or on what terms. The Company will make further announcements in due course. Application will be made for the First Tranche Placing Shares to be admitted to AIM, on or around 15 April 2019, following which the total number of Ordinary Shares in issue will be 94,318,395. The Company does not hold any Ordinary Shares in treasury. Therefore, the total number of Ordinary Shares with voting rights in the Company will be 94,318,395. This figure may be used by shareholders in the Company as the denominator for the calculations by which they will determine if they are required to notify their interest in, or a change in their interest in, the share capital of the Company under the FCA’s Disclosure and Transparency Rules. Click APPS for the full archive.